*Please note – Make sure that you review the Rules and Regulations page prior to submitting a film. ALL FILMS MUST HAVE COMPLETE END CREDITS. Films without credits WILL NOT be accepted. NEW Trailer (90 seconds – 3 Minutes). This category is for a commercial advertisement that previews coming attractions for a film, musical, play, special event, or sports season. Alternative (1-8 Minutes). This category is for anything that doesn’t conform to any of the other categories. The goal is to have fun, be creative, and entertain. Animation (1-8 Minutes). This category is for films that use computer graphics, computer animation, Flash, or stop-frame animation. Be sure your animation tells a story. Comedy (1-5 Minutes). This category is for anything you find humorous. Submissions such as parodies and spoofs – popular on YouTube – are accepted. Commercial (15 seconds-1 Minute):This category is for advertisements or promotional pieces. Commercials can include school-related activities as well as commercial products. Music Video (1-6 Minutes).This category is for original music or songs in which you have written permission to use. You MUST include CREDITS at the end of the video to recognize the musician or band. Please note that we reserve the right to ask you for proof of permission from the artist. 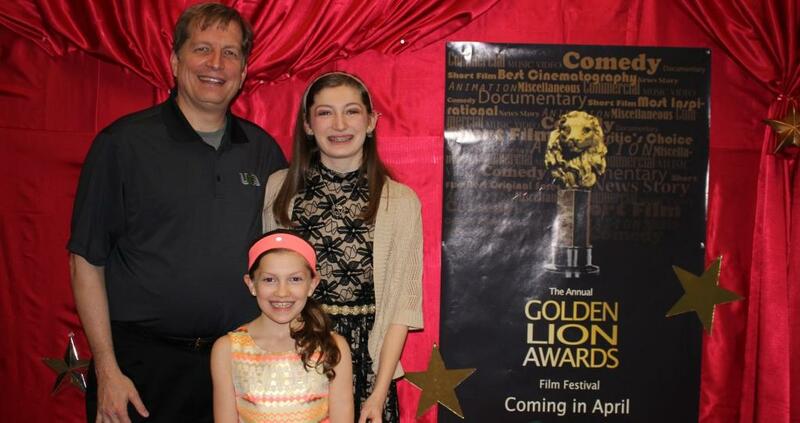 Golden Lion Awards has partnered with regional musicians to provide you with the rights to use their songs for a music video or musical score. Check them out at Music Resources. Informational/Educational Films (1-8 Minutes). This category features films that teach or demonstrate. Corporate videos are also included. Long Documentary (9 Minutes – 30 Minutes).This category enables you to explore in-depth non-fiction films, focusing on a person, place, organization, event, etc. Long Narrative Film (9 Minutes – 30 Minutes).This category enables you to explore in-depth stories with developed plots and characters. News Story (1-3 Minutes). This category is for solid broadcast journalism. Stories should effectively communicate the “who, what, where, when, why, and how” of a chosen topic. Full Newscasts will NOT be accepted. Public Service Announcement (30 seconds -2 minutes).This category is for films that raise awareness, change public attitudes, and/or effect behavior towards a social issue. Short Documentary (2-8 Minutes). This film type takes a non-fiction look at an event, person, place, or thing. Short Narrative Film (1-8 Minutes). This category is for films that tell a story – think beginning, middle, end, conflict, rising action, climax, and resolution. Middle School Division (up to 8 Minutes): This category is for any type of film created by 6th, 7th, and 8th grade students.